1. Went to Dyrham Park with Mother Hand. We walked down to the shop/cafe and then back up the hill this time, instead of getting the bus back like I did with Tutt when we went last month (she had a sore toe). 2. Off the back of that, I joined the National Trust. Excited about all the places I can now visit for free. 3. I also managed to pick up some light sunburn on this expedition. Wasn't the weather glorious? I had sun cream with me too, but I didn't really clock how hot it was. 4. Went to a geeky barbecue for the IT teacher at work, Luke. We admired his cabinet full of Lego, ate cake and discussed Game of Thrones, which I had just caught up on. His mum played us the accordion. It was fun. 5. Took naps. One particularly memorable one lasted for two hours on Monday afternoon. Utter bliss. 6. Finished the first colour stripe on the linen. I have added a further repeat today but my hand has started to get a bit sore. I attribute this to small needles, splitty yarn and my tendency to grip things too tightly when I'm not really thinking about it. 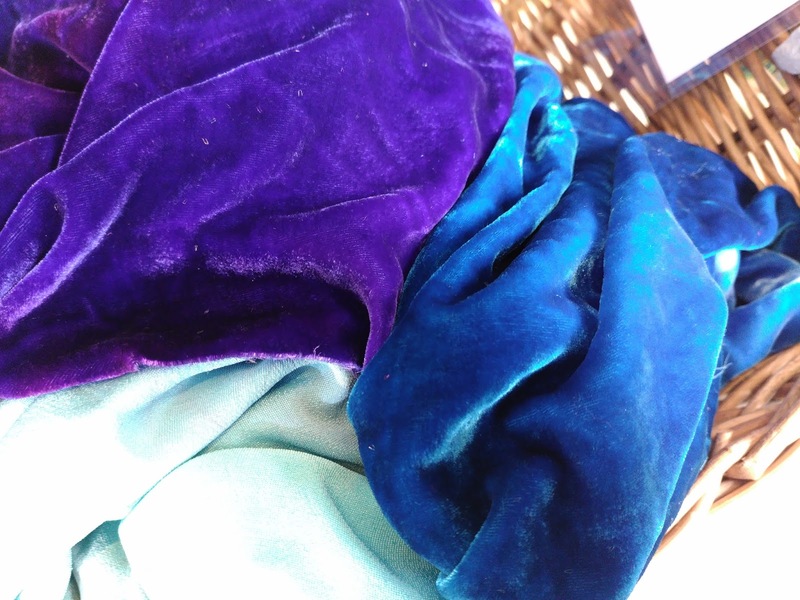 I love the way the colours are melding together so far, though. 7. Charted some of the Wonder Woman jumper - the yellow and red for the front. Now I just need to chart the stars on the back. 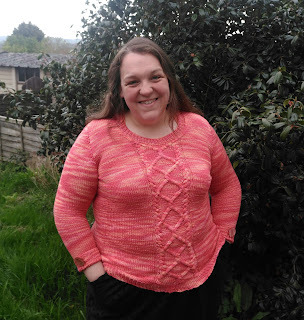 I am toying with the idea of just using a top-down raglan recipe, rather than springing for the pattern used in the original I admire so much; the pattern is quite expensive. It might make things easier, I suppose. 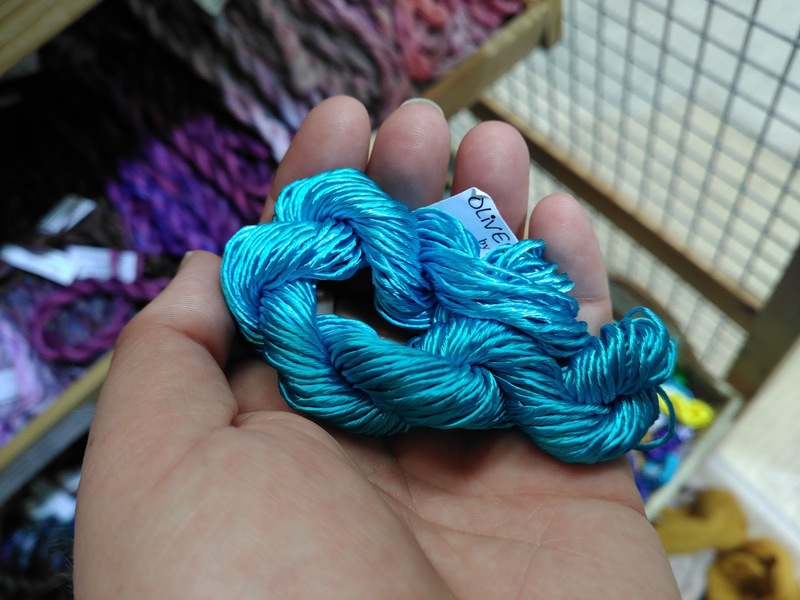 Should see if I can get gauge in the yarn before purchasing, though, as it's written for worsted and the yarn I have is DK. 8. Completed a piece of work that was pressing. It was quite enjoyable: I was asked to contribute to a periodical. This is always a little nerve-racking as the style is very formal. In the end I just wrote it like a blog post, albeit with slightly more attention to grammar, more long words and references. It went down well. Not too many tweaks to make. 9. Cleared out one drawer of my chest of drawers. It's a depressing fact that most of the clothes I actually wear never get put away, since my storage is stuffed full of clothes I don't wear. I know, ridiculous. I need to do some more weeding this week. 10. Generally just enjoyed being at home with nothing desperate that needed doing. This is my first holiday without a school commitment in it since Christmas, and my first holiday at home for a year. I'm enjoying the novelty. Hope you all had lovely weekends also. One day I'm going to own a place there. I insist. Let's gloss over the fact I will never have time to go there. I spent this weekend in Sheffield and packed hexagon materials plus the carefully wound linen with me to take. It was a bit of a lost weekend - a conference on Saturday, but other than that, just me and my very nice hotel room. And spa. Jen was busy with her own course. Mother Hand was going to come and then realised she also had a conference. So I had a hermit's weekend, and feel all the better for it. A lot of sleep happened. Much as I felt obligated to cast on the linen, I have become somewhat addicted to the hexagons. These mark the end of the already-wound skein of Georgetown. I had forgotten how obsessed I am with this colourway. It's totally not something I would normally choose - I prefer strong colours over pastels, in case you hadn't noticed - but I just love it. 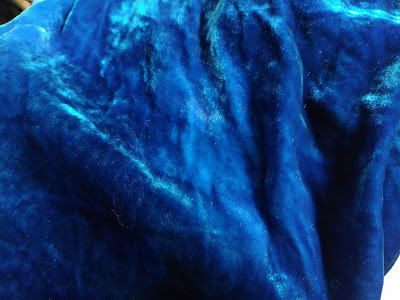 Anyway, when I got home I finally bit the bullet and cast on the linen, so that might be it for hexagons for a while. I thought what I should do is make the hexagons a non-negotiable between other projects: must knit one skein of hexagons before casting on for something new. Then I might have a blanket by the end of the decade, if I'm lucky. I have 12 now. That's almost 10%. 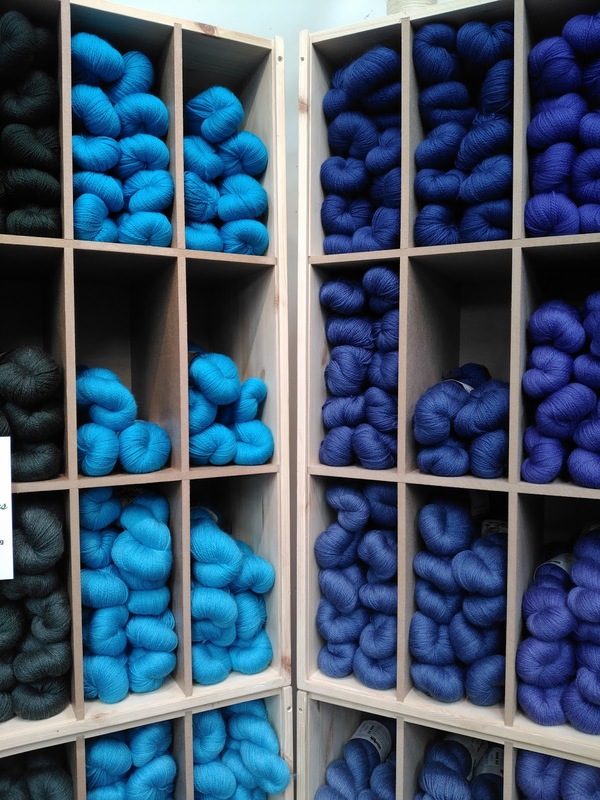 But I might have spotted some L&L in destash in a colourway I don't already have. And if we're admitting things, I might have gone onto the Lorna's Laces website and discovered at least half a dozen blue colourways I never knew existed. Carole's Tuesday Ten this week is about things you would do for new mothers, but since my gift ideas for new mothers run to tequila and ear plugs, I thought I would adapt an old one from Christmas. 1. Have a clear out. I tidied, cleaned and reorganised my desk last weekend (when I was up to my eyes in Y13 coursework) and now I feel motivated to tackle some other areas. Also a little bit concerned about the amount of stuff I am going to be bringing home with me from my classroom when I move schools this summer. Room is needed ... as in, a room. 2. Read something that isn't about the Tudors. Maybe even a magazine. 3. Take afternoon naps and get early nights. Old person stuff. 4. Get the bike out, pump the tyres up, go for one ride and then put it back in the garage for probably another two years. 5. Go to a coffee shop and drink coffee and chat, rather than drink coffee and mark. 6. Chart the Wonder Woman jumper intarsia. 7. Make Tutt play squash with me. I can't even remember the last time we played squash. She has a sore toe but she could just stand there while I moved around her like a very slow, sweaty and unfit ninja. 8. Pore over travel guides to plan our 10th wedding anniversary holiday in July. Ten years, eh? Blimey. 9. 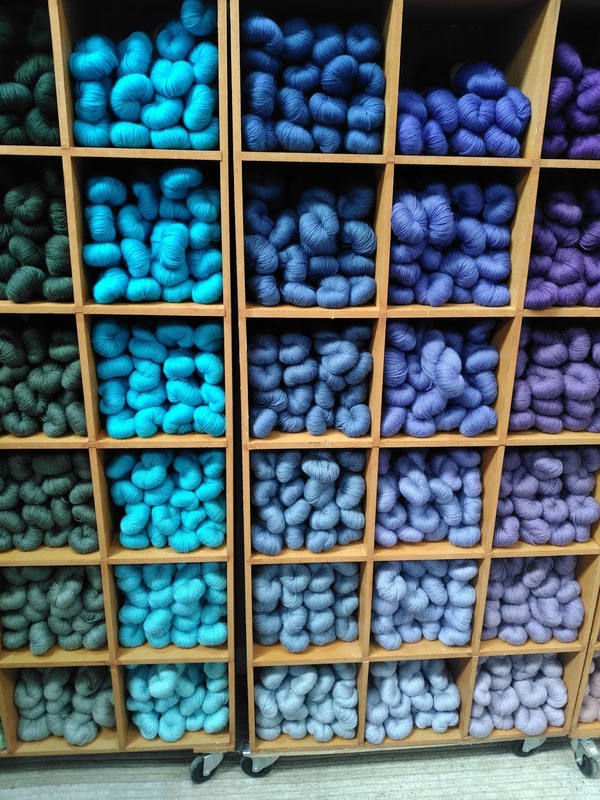 Knit everything. Well, some things. OK, a thing. Partially. 10. Undoubtedly none of the above as I will probably just remember another few jobs I have forgotten to do. Mutter. I've been looking back at some of the pictures from Yellowstone over the past couple of weeks. I seem to be missing a large number; Mr Z assures me they are on a computer somewhere, but who knows where? I guess that means we will have to go back. There were some beautiful colours in the hot pools there. Here are a couple of the Black Pool - it had some cyanobacteria in it for a while that turned the water very dark, but it's been back to its gorgeous aqua self for over 20 years now. Apparently. 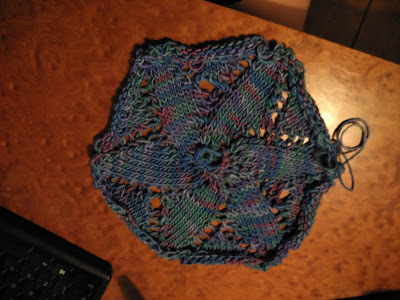 I have been knitting this weekend, but just pinwheels, as before, so I won't update you. I have now completed eight, thus cutting 10 years off my projected finishing time from last week. 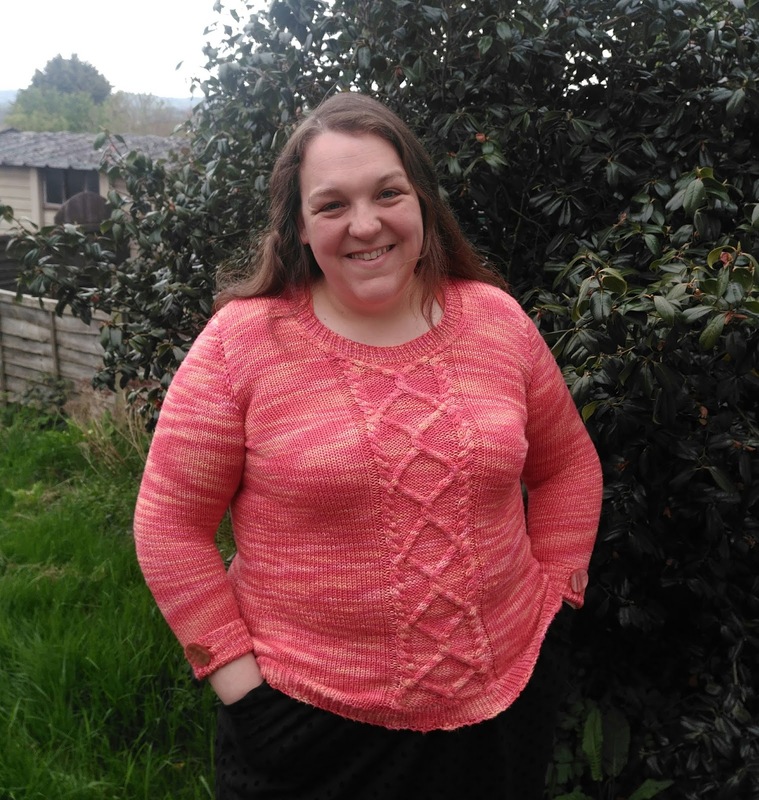 A couple of months ago I came across a Wonder Woman jumper knitted by somebody on Ravelry and I was so taken with it I have decided to attempt to knit my own. 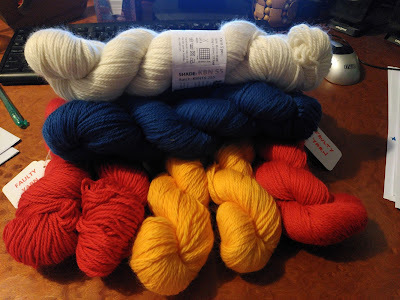 The seconds bin provided almost everything I needed; I picked up one skein of natural that was full price but the rest was less than half what the usual cost is. Very pleased with my little haul. I will add it to the every-growing list of planned projects. A magnet for people who like (a) colour and (b) perfect organisation. It was even better this year as there is now 4-ply. I have wound the linen for the next garment, but for some reason I am not currently feeling it. I think it's because I would still prefer to find a different pattern. I need to get over it and get started as I have a long train journey coming up and will need something to knit during that. 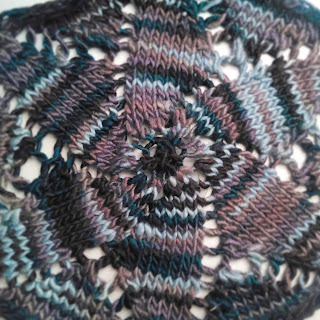 In the interim, I have been knitting pinwheels this weekend. I knitted two more, which meant I got five out of the first skein and about 10cm of the second skein that I needed to complete my bind off. 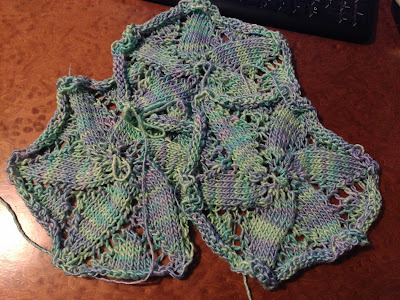 This is interesting as it means I am knitting them tighter than I did in 2009 when I made them for a shawl; back then I could only get 4 and a half out of a skein. This means that the blanket might end up considerably larger than I first thought. 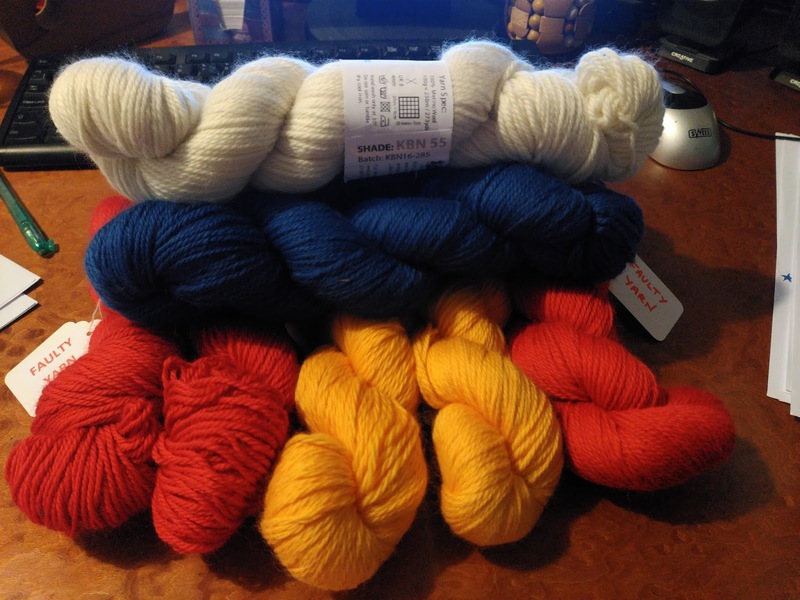 Indeed, when I counted up on Ravelry last night, I realised I had 28 skeins of Lion & Lamb stashed towards pinwheels, plus the two I have made inroads into for these. That would make 150 pinwheels if I was frugal. 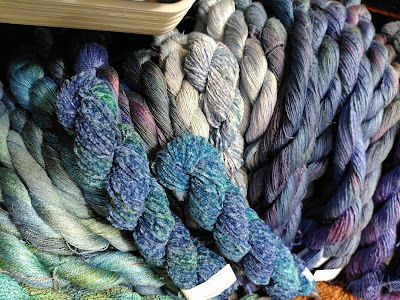 So, I think I will aim for four pinwheels out of the single skeins and nine out of the double skeins which would give me 127 pinwheels and enough left over from each of the 18 colourways to make a very eye-catching clapotis. 127 pinwheels would probably do two blankets and then I could have one for blues with a hint of green and one for blues with a hint of purple. Maybe. This is all academic. In two years I've knitted six pinwheels. At this rate I will have knitted them all up by 2058; but then I'll have to do the sewing up so this project seems unlikely to be finished in my lifetime. I do enjoy making them, though. The colours in this iteration (Bated Breath) are just stunning. Here it is with all the magic an adjustment of brightness/contrast can muster. That mallard green is my favourite in it, I think. Finally finished! In less than a month, actually and with yarn to spare, astonishingly. Not much, though. Mods: I added length to the body. 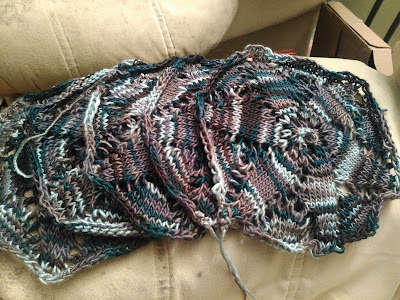 I purled every row of the background to the cables instead of alternating knit and purl rows. I fudged the neck shaping so that the cable was incorporated into it (feeling very pleased with myself about how nice it looks). 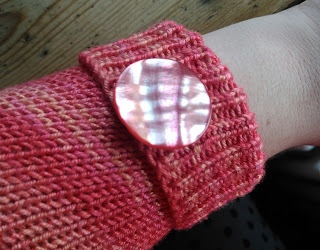 I also added cuff buttons, because these buttons are a perfect match. 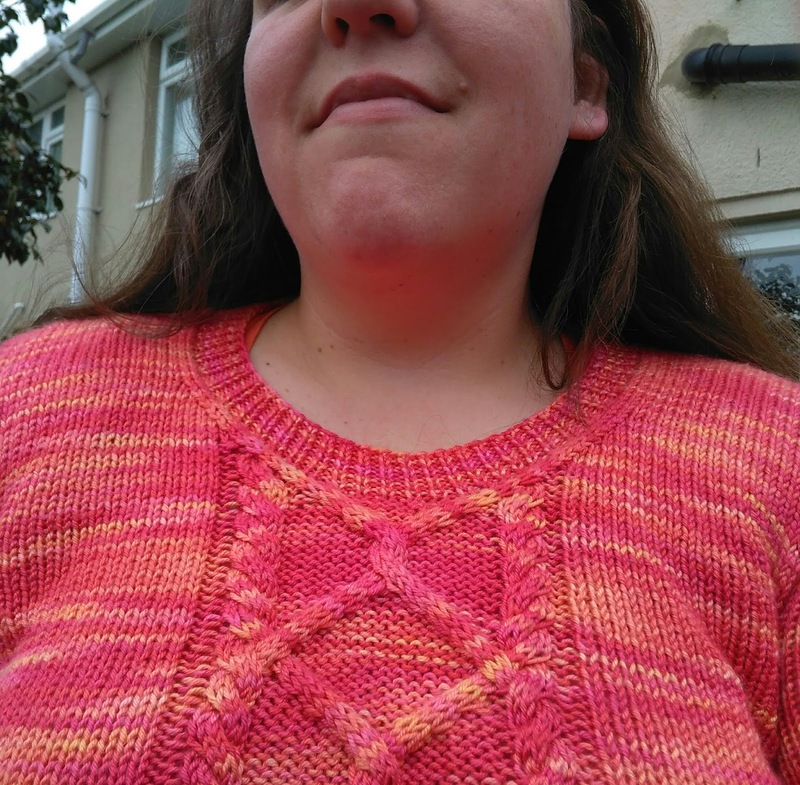 I wore it today (feeling a bit guilty because the designer very earnestly urges knitters to block before wearing...if I have to wait for it to dry from blocking it's not getting worn this side of the summer) and it is a lovely fit and extremely warm. Now onto the linen I think. I actually had a dream about it last night, in which I went back to buy it but they had none left in the colours I wanted, and then I realised that was because I had already bought it. That'll teach me to stalk Ravelry projects before bed. Wonderwool Part 2: the spinners. Well, Oliver Twists, really. This stand is always heaving with gorgeous silks and sparkly stuff and it makes me sad that it's not ready-to-knit stuff. 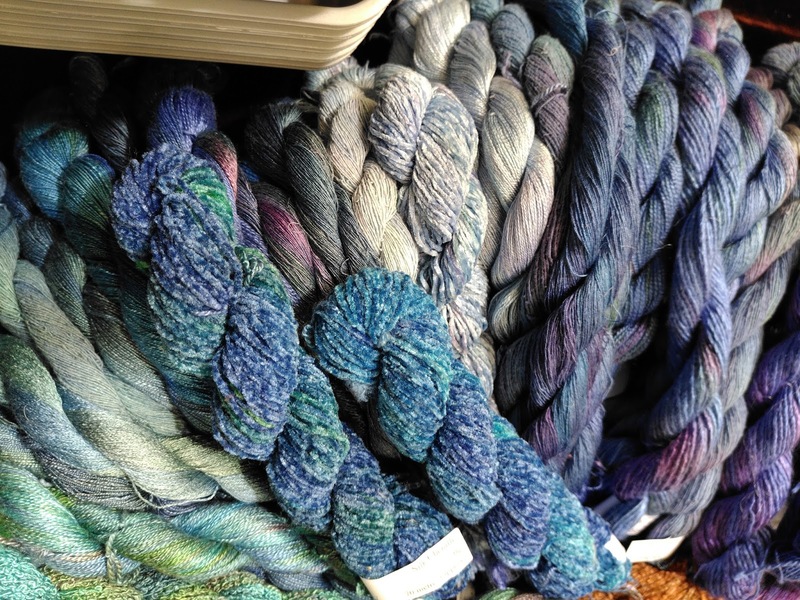 Not that there isn't enough gorgeous stuff elsewhere that IS ready-to-knit but, yknow. This is my favourite. Blue and shiny and soft.